I love editing video, it’s my favorite part of the production process. I get to take all the interviews, all the footage and assets and create something out of it. Something beautiful and creative; something that moves people. It’s the closest thing I have to creating an art piece and I hold it very dear to my heart. Even though I’ve been editing video since high school, there is always more to learn. 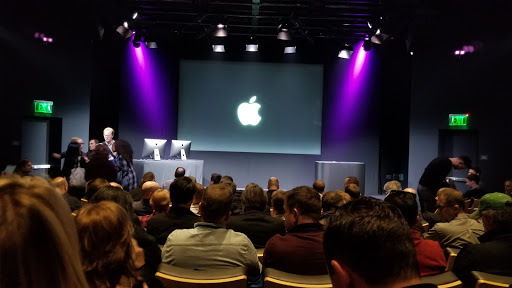 Professional development is taken seriously at Captivate and last month I had the opportunity to visit the Apple Headquarters for the 2018 Final Cut Pro X National Convention in Cupertino, CA. 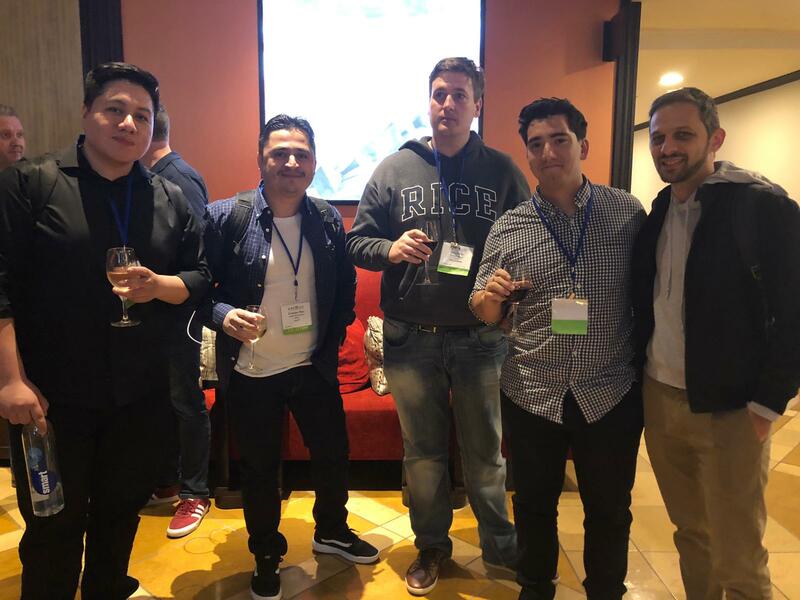 I was excited to have the opportunity to broaden my abilities and meet fellow editors who share the same passions and interests as me. I’ve always considered myself a lifelong learner and to have the opportunity to go to Apple’s home turf and learn from the experts themselves was truly amazing. The fires in California were at their peak when I landed in a very smoky San Jose in mid-November. Cupertino is at least 200 miles away from Paradise where the worst fires were, but the air was still heavy with smoke and hard to breathe. Luckily most of my training took place indoors at the Apple Headquarters and in a nearby hotel. One of the advantages of doing in person training is the ability to meet and network with other professionals. I met people from Brazil, Australia, Canada, New Jersey and even a fellow Minnesotan. We were able to exchange stories, tips, and even created an online group for us to stay in touch. Apple had released the newest version of Final Cut Pro, 10.4.4 just one day before the conference started. Our group had the opportunity to attend a presentation on the new software from some of the people who helped design it. It was so cool to be in a dimly lit room with the big silver Apple logo on the screen as developers in black turtlenecks came out to blow our minds with some of the new product enhancements. In total, I spent three full days in California on my professional development. There were classes on how to improve my skills, ideas on how to be more efficient and tips on how to really make the most out of the Final Cut Pro X platform. I learned so many things that will make me a better editor and help me think about storytelling in a different way. I left feeling inspired, equipped with knowledge and more confident in my skills as an editor. While all of the technical things I learned were great, it was the relationships I built with other editors that was my favorite part. I’ve never had so much fun talking about my favorite keyboard shortcuts to a group of folks as nerdy as me. During my flight back home I got to reflect about my experience over the course of the last three days and I kept coming to one big take away: Final Cut and other editing platforms are just a tool to help us tell a story, and having better tools and knowing more about those tools really just helps us tell it better. That was pretty exciting and reinforcing, since it really echoes our emphasis on storytelling here at Captivate. I’m so excited to work on upcoming projects and put some of these new skills to use.